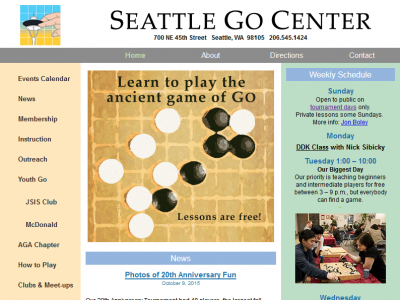 The Seattle Go Center needed to update its aging site. 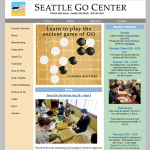 The old site was not particularly attractive and could not be updated without the help of the admin. 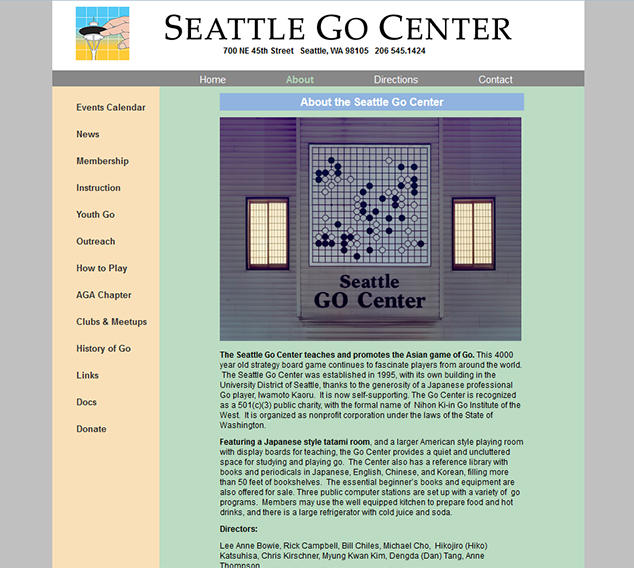 They hired Susan Wells to create a new design incorporating their logo. Optay Studios took that design and made a responsive WordPress template based on it. 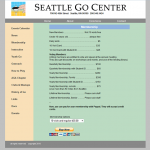 The new site can easily be edited directly by the Go Center staff. The Seattle Go Center home page. 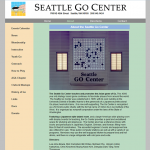 The site is now rich with content maintained by the Go Center staff. 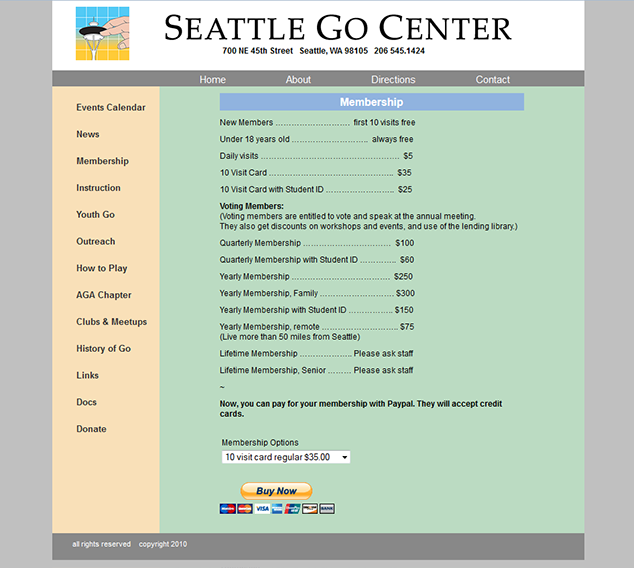 The site contains an embedded Google Calendar for events and links to PayPal for donations and purchases.